welcome to the ssbc library! Check out the exclusive content designed to help us delve more into God's Word! Be sure to check back regularly for updated and added resources! A practical guide for exegesis and theology. 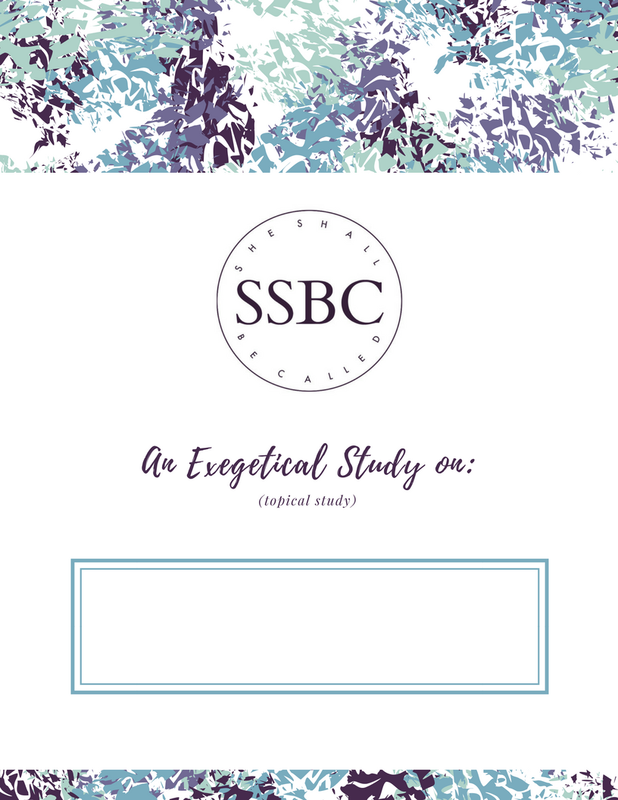 Several worksheets to be used during exegetical Bible study. Several worksheets to be used during exegetical topical Bible study. Pre-formatted double-spaced text with wide margins and footnotes to be used for mark-up during studying. A good resource to use as you meditate on Scripture each day!